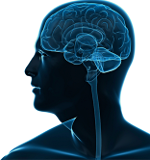 On January 23, 2014 the Defense and Veterans Brain Injury Center released new clinical recommendations with a standardized approach for concussion recovery. Included in the recommendations for managing concussion symptoms is a first of its kind five-stage approach for return to activity following a concussion. Detailed “do”s and “do not”s are specified for each stage. Movement from stage to stage is determined by scores on a simple twenty-two item “neurobehavioral symptom inventory” included in the recommendations. a helpful breakdown of the five stages of activity. Although these materials are prepared for military personnel who have suffered concussions, they are based on input from academic experts and sports concussion clinicians as well as military TBI experts. Because the materials are simple and offer specific guidance concerning activities, they may be particularly helpful for the thousands of people who experience concussions every day. The clinical guidelines include different approaches after a second or third concussion, recognizing that multiple concussions carry a greater risk of serious problems. As discussed in other posts, there is a growing recognition that in some people concussion can trigger a progressive disease process and cause long-term physical, cognitive and emotional disabilities. This has been particularly evident in football players as well as other athletes. It is encouraging to see our growing understanding of what happens to the brain following a concussion translated into procedures designed to minimize the long term consequences and promote recovery.